Acoustic insulation absorbs sound for quiet, high-performance ventilation of bathrooms, meeting rooms, utility rooms, and offices. Grille and spring-loaded backdraft damper operates rattle-free. 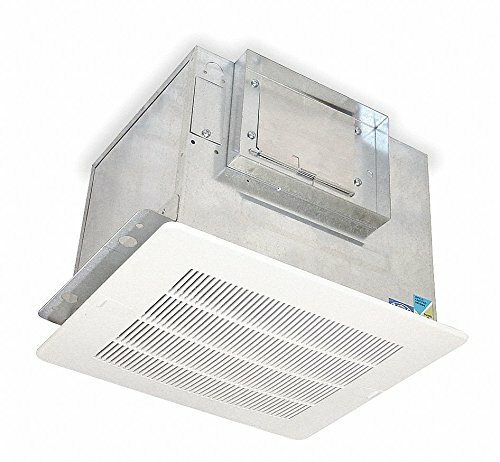 Exhaust outlet can be rotated from horizontal to vertical discharge. External electrical access reduces installation time. Steel housing with electrical junction box and disconnect. Thermally protected motor. Power assembly is removable. UL and C-UL Listed for above tub/shower when connected to a GFCI branch-protected circuit. Green Certification or Other Recognition: ENERGY STAR"
View More In Respiratory & Anesthesia Equipment. If you have any questions about this product by Dayton, contact us by completing and submitting the form below. If you are looking for a specif part number, please include it with your message.